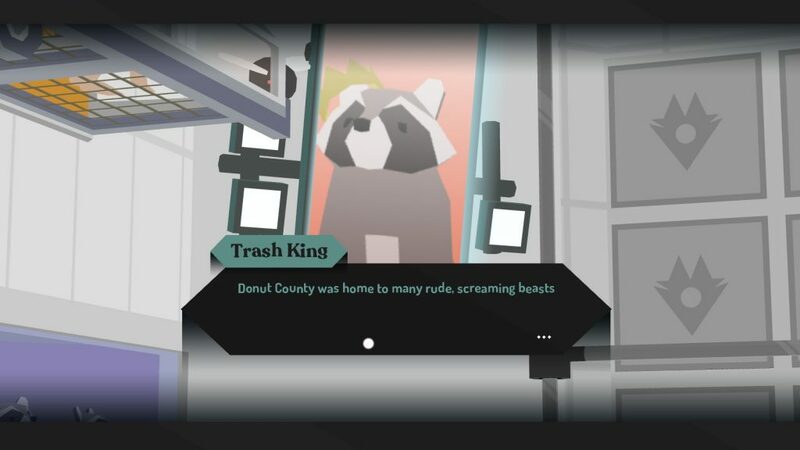 Donut County is one of those most pleasant of games for a critic: A game where, on its surface level, it’s tight, accessible, and doesn’t outstay its welcome, although I freely admit I wouldn’t have minded more. I mean… [looks at library] He’s not… Wrong? Just below that, however, only slightly concealed, is a fun little bit of political allegory that I can’t help but appreciate. How a donut hole, “driven” by a raccoon to cause chaos for, essentially, selfish reasons, symbolises a large part of what is wrong with capitalism. That’s the kind of thing that gets me out of bed in the morning. On its face, there’s an enjoyable game. 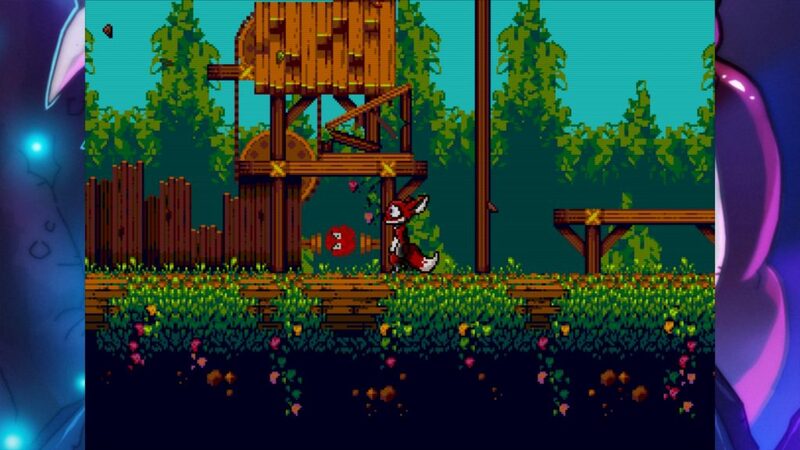 You are a raccoon, directing a donut-hole around a map with the mouse, exploring a well styled low-poly world as you drop it all… Into the hole. Why are you doing this? Well, partly it’s to get revenge on people who annoyed your friend. Partly it’s because it’s a game, and it’s a fun thing to do in a game. But mostly, it’s because you’re almost a Level 10 employee, and when you hit Level 10? You get a cool quadcopter of your very own. That’s a good enough reason to drop large portions of a small town into a deep, hungry donut-hole that expands the more it’s fed, right? It helps that often, filling that hole is, itself, a pleasurable and amusing activity. 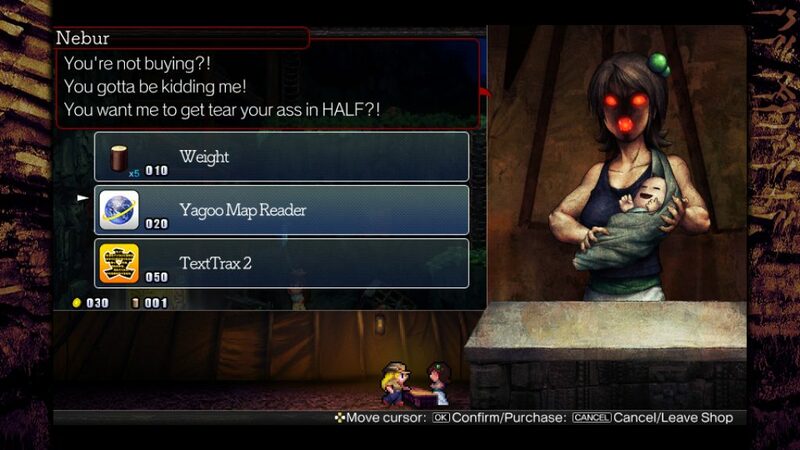 Even if it didn’t go the extra mile narratively, you’ve got a fun game with a delightfully subversive message. The more you throw into the hole, the bigger it gets. You’re filling it, but the hole always gets bigger, because there’s bigger stuff out there to throw into your bigger hole. And, each level, you’re only satisifed when there’s nothing left… But the hole. And you’re told what a good job you’ve done as the person you’ve dropped down the hole is endlessly falling, and a little bar puts you ever closer to that quadcopter, the cool thing you’ve been promised if you only keep filling the hole. But it does go that extra mile, and, inbetween every level, there’s a little segment, at the bottom of the hole, where the survivors (including the friend of main protagonist BK the Racoon) call BK out on the fact that he destroyed the entire town… To get a cool quadcopter. And, at first at least, he’s not the slightest bit guilty. He’s too busy being pissed that his supposed best friend, who he did this for, broke his quadcopter. He was only doing his job! He nominally did some good along the way! It’s totally not his fault! There’s other things, too, later down the line, but this… This is some well crafted allegory. We like stuff! We want more stuff! But there’s only so much stuff, and a lot of it is, put bluntly, junk. 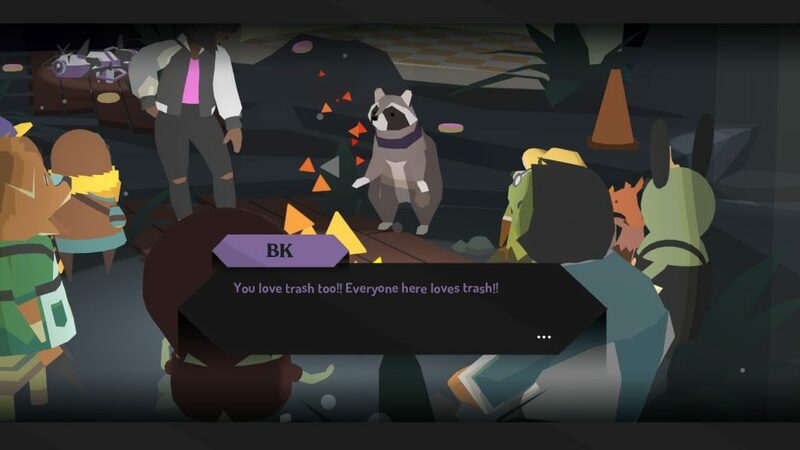 But that’s okay, we’re playing a trashpanda, and what does a trashpanda like? Junk. They don’t necessarily understand it (as the Trashpedia humorously shows), it’s… It’s junk! You get junk, and getting junk is good! It’s better if it’s cool junk, sure, but it’s stuuuuufff! Some of that stuff was better off where it was, serving a useful function. Some of that stuff was distributing other stuff. But nope, hole’s gotta be filled, we have to have all the stuuuufff! Legit creepy, sometimes, when you’re subtweeted by a literal Trash King. I could go on, but it’s delightful, it’s clever, and it can be played in an afternoon. 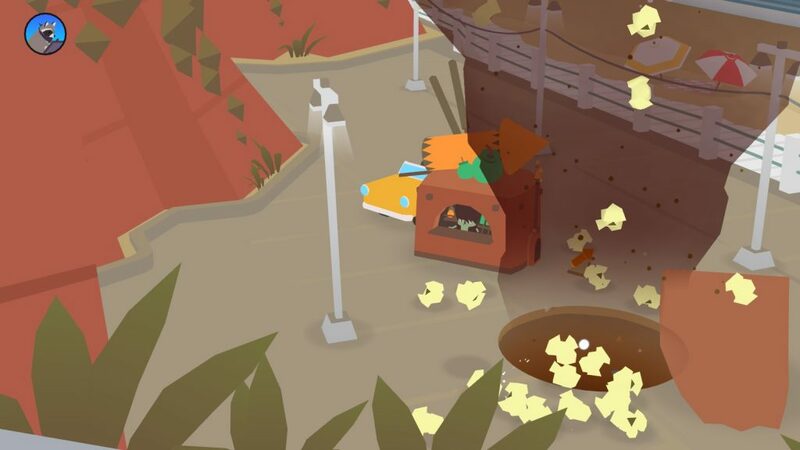 Then, if you feel like, you can do the completionist stuff, collect all the trash and do interesting things. And I would recommend that, because it’s fun, it’s simple, and it’s a balm in this stuff filled world we live in. 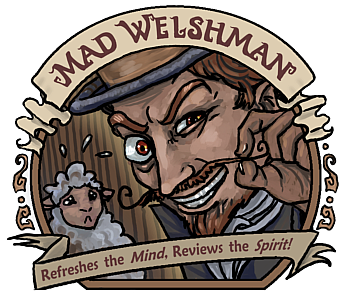 The Mad Welshman is sometimes a raccoon. He likes stuff! 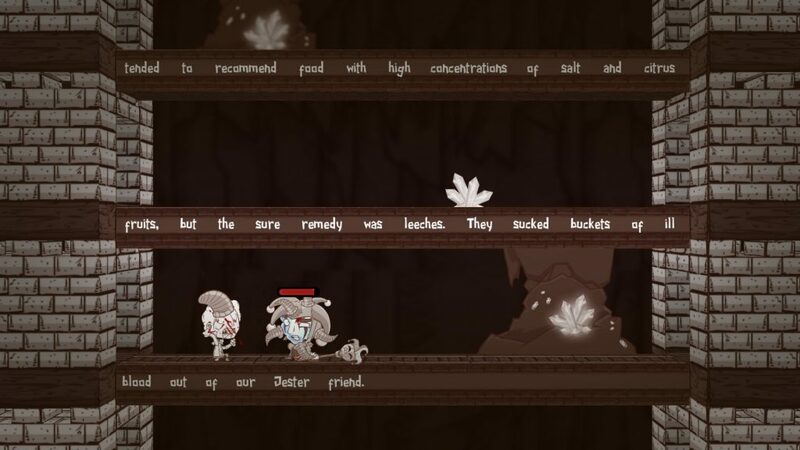 Haimrik is a game with an interesting concept. What if you had the ability to take words, and use them to change the world? Not in a “Saying powerful things”, but literally picking the word Sword up, and bam… Sword. It’s a cool idea, and not having those words be entirely under your control (some words, after all, bite back, or are just hostile to you, personally) is also a neat touch. 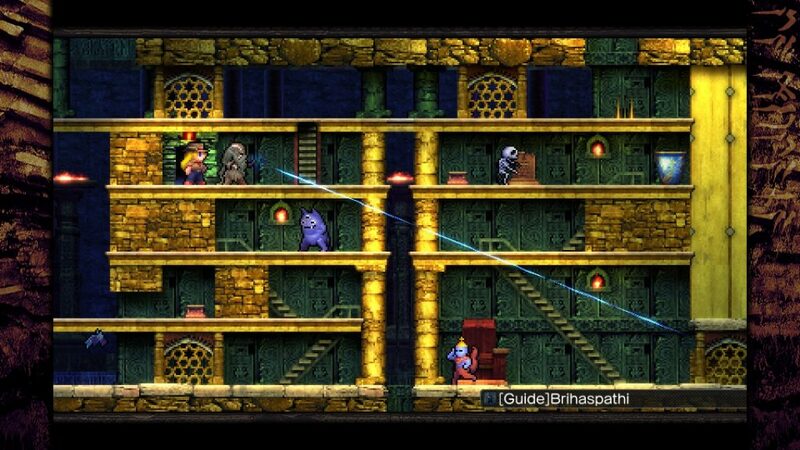 It’s a shame then, that Haimrik feels so very constrained. Understandable… But also a shame. 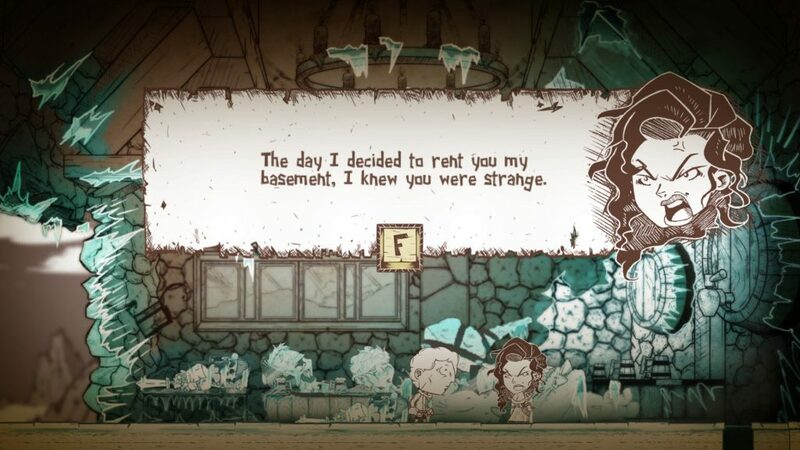 Protagonist Haimrik is a writer. Well, a scrivener. He writes books, in the hopes that they sell, and the only person who even reads them is his landlady (whom he has a thing for), while he’s behind on his rent, and a corrupt king supported by his Word Warriors rules tyrannically over the land. Enter The Book. Drop some blood onto it, and the narrative of the world can be changed. An artefact, and a power, that immediately gets him into trouble. Nice concept, yeah? Unfortunately, less than an hour in, its prescriptive approach gets my goat. There are a couple of puzzles where there are multiple solutions, but a lot of the time, no, it’s just the one. And not always a terribly interesting one. Okay, yes, we plant the SEED (run to seed, hold down) in the FERTILE SOIL (Hold F, plant seed), and then we call for some RAIN (run to RAIN, hold down), and… Oh, crap, do we use FERTILISER or POISONOUS FUNGUS to grow the plant, considering the obstacle we can’t control, the SWARM OF LOCUSTS? Which, as a bonus to losing us the seed we need, will gruesomely kill us, just as we’ve gruesomely killed (and been killed by) several soldiers, some goblins, a rat, a snake, a crocodile, and an ice wizard by this point. 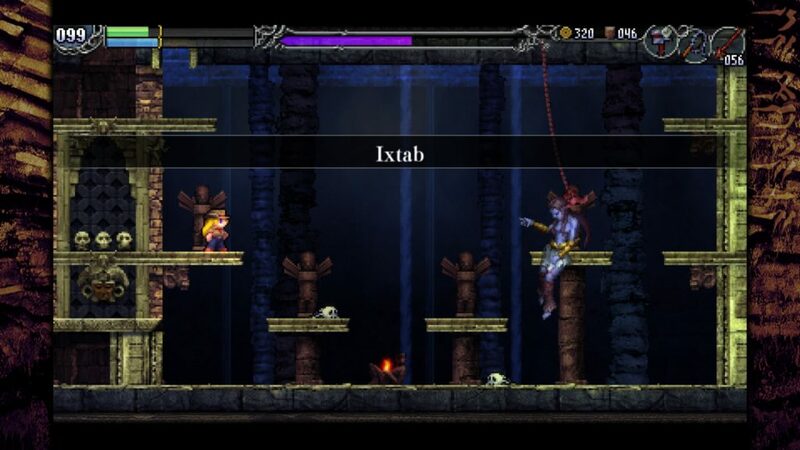 Ohcrapohcrapohcrap CODE VERMILLION TALON, I REPEAT, CODE VERMILLION TALON! As you might have guessed by the description of this puzzle, and the accompanying screenshot, it’s pretty much an inventory puzzle of sorts, with nouns being the inventory in question. 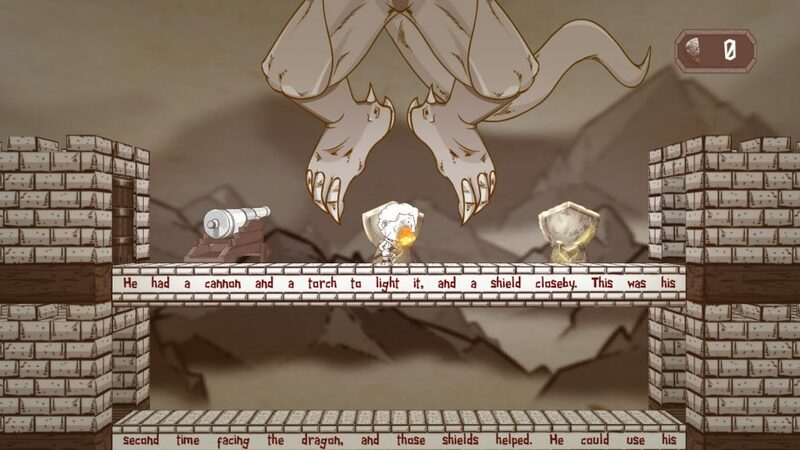 Occasionally, it becomes more interesting, such as the fight with Murdock the Ice Wizard, or the Dragon, which are… Well, they’re boss fights, with the twist being in the sentences they display. It’s a fairly good twist, to be honest, counterbalanced by Haimrik being… Kind of crap at fighting. 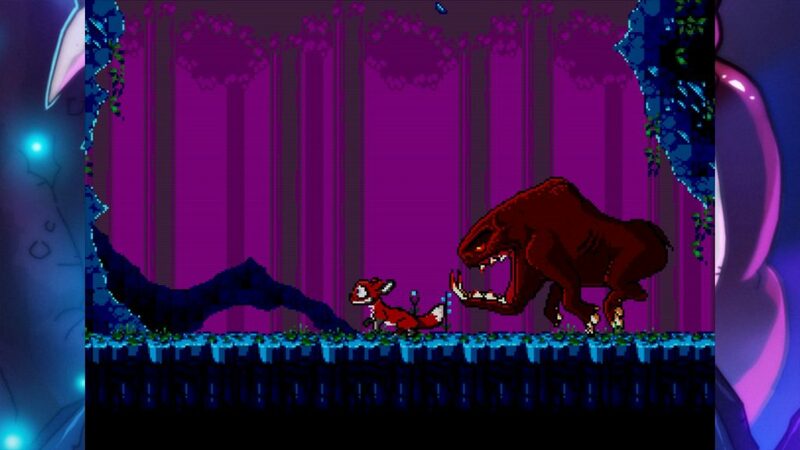 Aiming is a somewhat slow affair, jumps in a couple of boss fights are tight, and, even with the fact that death leads to a scene restart, it can get frustrating quickly. Narratively, it’s a story seen quite a bit before. Cruel king, young man raised in a rural town in obscurity, family and town gets brutalised very soon after he gains a magical ability… It’s not helped by the fact that, even toward the very end, Haimrik, as a character, is basically a punching bag, and so their Hero’s Journey seems… Flat. One of the few upsides is that it has a solid, consistent aesthetic, but that hasn’t stopped me from putting this game down again… And again… And again, out of frustration with the gotchas and sometimes nonsensical solutions. Lumines Remastered is, on a basic level, exactly what it says on the tin. It’s the Lumines you may already have if you love the tetromino arcade puzzler, but with a higher resolution, some better menus, and some minor added features such as a versus CPU and multiplayer mode. Not a lot has changed, except that I find this version, oddly, triggers my epilepsy while the previous does not, and, as such, skins that were not colourblind friendly, remain unfriendly to those of us who have colourblindness of some description. Although this does not look like a problem, the backgrounds are animated, and this seems to make this particular skin harder to differentiate. So, for those of you who’ve played Lumines before, there’s your paragraph. For those who haven’t, let’s have a chat about feel and difficulty. Because the way Lumines works is quite cool, even if this remaster isn’t something I can recommend to my fellow epileptics. 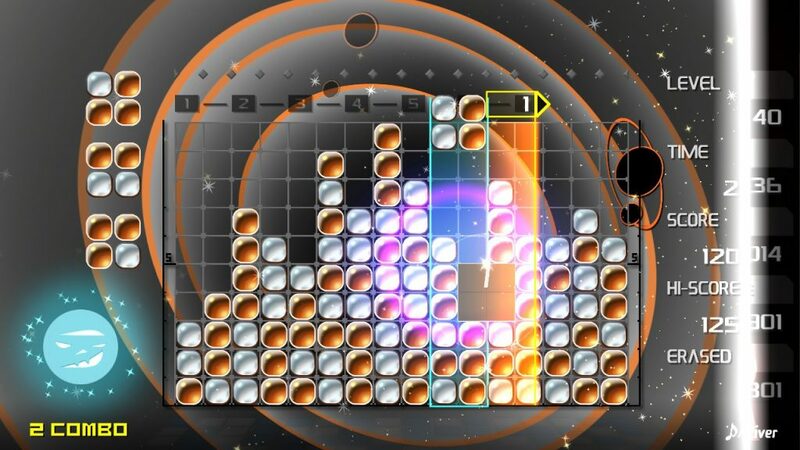 Lumines, mechanically, works on three main elements. Matching squares with four tiles, of two different colours, into squares of single colours. A wipe bar, which, if you’ve matched a block while the wipe bar’s going across said block? Won’t fully count. 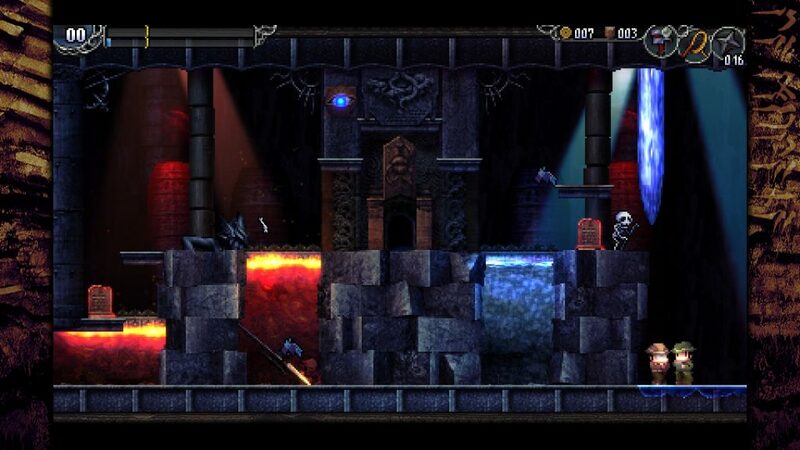 And varying the speed of both block falling and the wipe bar to change the difficulty. Early levels are a normal speed for both, but then the block falling speeds up, and, every now and again, the wipe bar… Slows down. Which, considering this follows the usual tetropuzzle rule of “If you fill up a column and try to put a block on that column, you lose” , makes it harder, because matched squares don’t go away until the wipe bar’s fully crossed all the rows. If you’ve got this many blocks this late, you have a problem. Clever stuff, and a skilled player, despite being able to take it slower in certain stages, can take advantage of the slower wipe bar to build up some incredibly silly combos, and clear lots and lots of blocks. 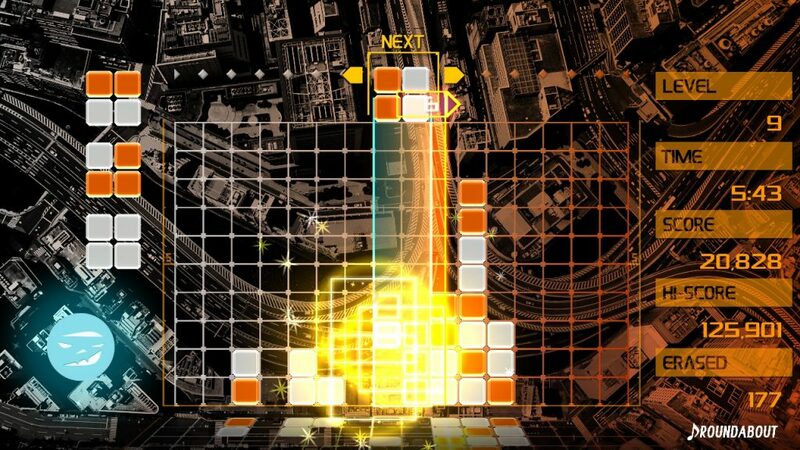 But mechanics alone doth not a game make, and Lumines also has a solid, clear aesthetic going for it. 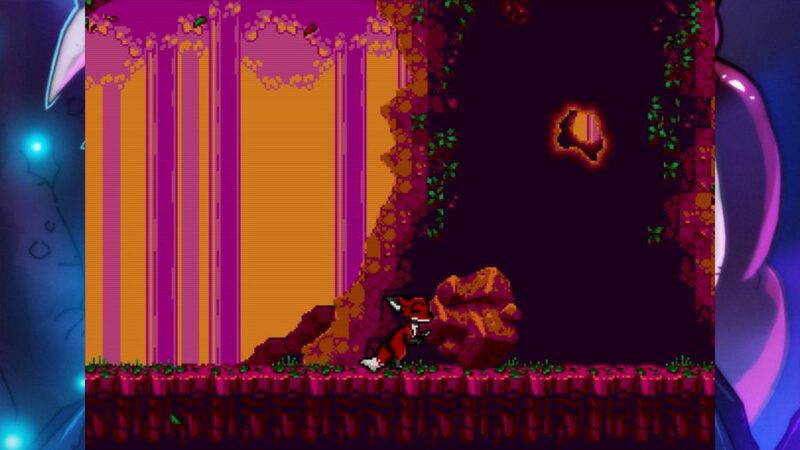 While, as I mentioned, some levels don’t differentiate the light/dark blocks terribly well, the majority thankfully do, and the music is a good mixture of catchy, dark, pumping, and relaxing. A medley of melodies, if you will. The effects of the game when blocks are cleared pleases my lizard hindbrain, and so, feelwise? It feels good. 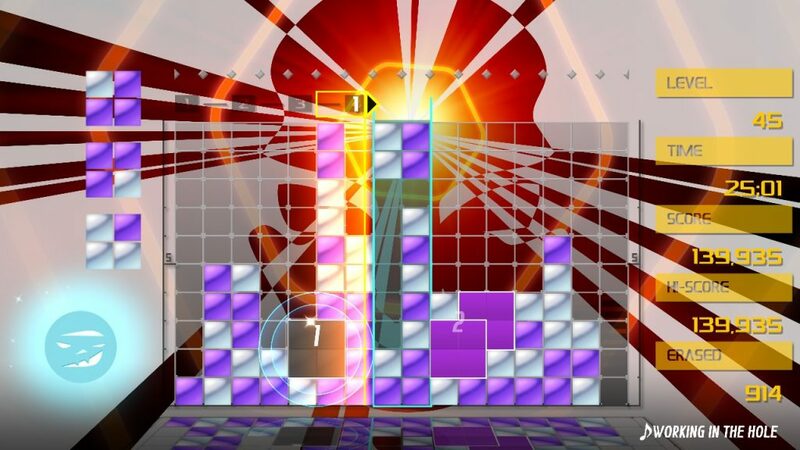 Overall, if you already have Lumines Advanced, the only major selling points are the multiplayer/CPU mode and higher resolution graphics, but if you like tetromino puzzlers, Lumines has quite a pedigree, and hasn’t fixed what isn’t broken. The Mad Welshman is not, despite the conspiracy theorists, actually a lizard. He’s a werewolf.